Hello. I hope this email finds you well. 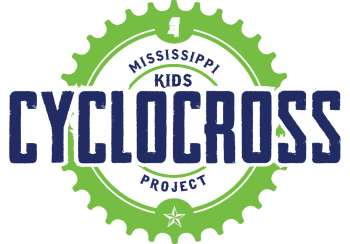 We have completed our week 8 practice, and our kiddos are ready to show off the skills at our Ridgeland Cyclocross Festival on Saturday, November 18th. Please review and let me know if you have any questions. Make sure you share the event details with your relatives and friends as this will be a fun day at the park! Finally, we need some volunteers to help up make this event a success. Please volunteer for 3 hrs on Friday or Saturday! See the volunteer options and registration at https://www.bikereg.com/ridgelandcxfestival-volunteer. Register: Please register online, it helps us and vendor/partners to know the number of participants ahead of time. All kids race registration is free. Register at https://www.bikereg.com/ridgelandcxfest. Online registration Thu, Nov. 16th at 11:59pm. Location: Freedom Ridge Park. 235 West School Street, Ridgeland, Mississippi. Race Flyers: See attached. Please share with friends, co-workers and family. Kids/Junior Races: All Junior/Kids race categories are free, however all racers (excluding kids under the age of 6 must have a USA Cycling racing licence (read details) or day license. We will have all forms available at our event. On-site registration: Adult races will be an extra $10 per race and all onsite registration will close 30 min before the start of each race. Face Painters for all kids… & some adults! On Saturday, November 18th we will have face painter for kids between 10:00 am-12:00pm. Bring the Family! Junior U10 & Kid ‘Cross (9 and under) Fun Ride will be on a shorter course. Food Truck Vendor will be available onsite. Green Ghost Tacos will be our onsite food truck during our 2017 Ridgeland Cyclocross Festival. 10% of all sales will be donated to the Mississippi Cyclocross Project. So come hungry!!! Onsite Coffee/Hot Chocolate: M7 Coffee House will be onsite selling coffee and pastries during the 2017 Ridgeland Cyclocross Festival benefiting the MS CX Project. 10% of all sales will be donated to the Mississippi Cyclocross Project. Prize Purse List: We will have equal purse for both men & women in the P/12/3 Category! We will also have great swag prizes courtesy of our fantastic sponsors; Pirouline, Clif Bar, Clif Kids, M7 Coffee House and many more. Bring the Family! Get your holiday shopping at all the attractions at our great city of Ridgeland has to offer. More details at www.visitridgeland.com/attractions.